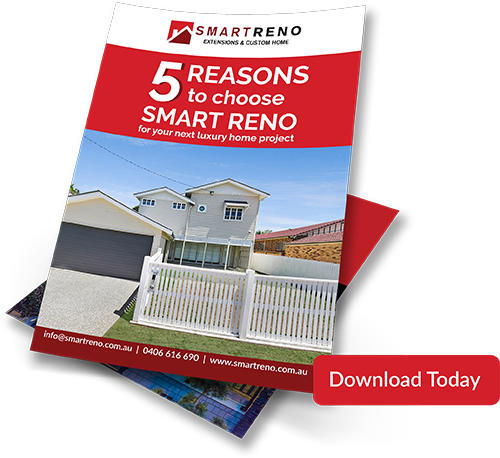 Thanks for requesting a download of the 5 Reasons to Choose Smart Reno. You will receive a copy in your inbox, however, you may prefer to download directly from here. Good on you for taking the first steps to research your builders before undertaking one of the biggest endeavours of your life. We understand it’s a significant time for you and we can’t stress enough the importance of doing your research – I’d do exactly the same. Our business is built on trust and integrity – it is core to who we are. 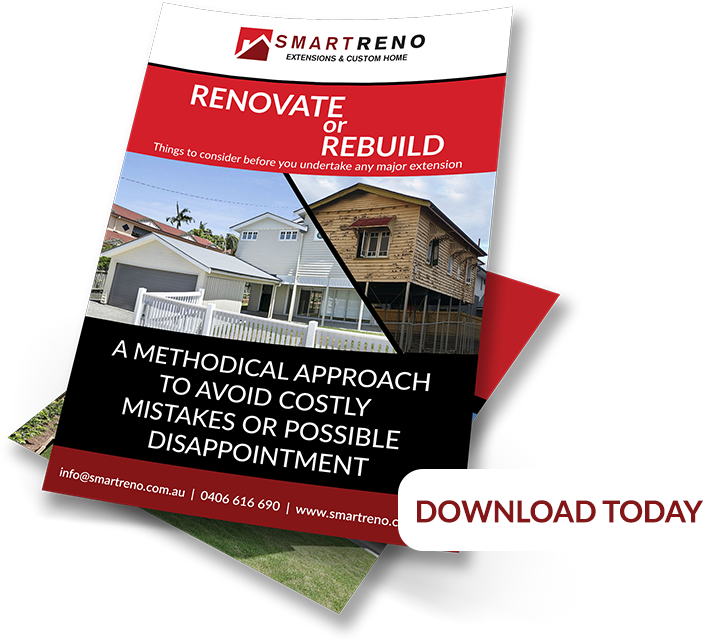 Within the pages you will discover what makes SmartReno tick and why we do what we do. Feel free to download your copy from here. If you need further assistance, please don’t hesitate to let us know. In fact we’ve helped a lot of clients embarking upon a knockdown rebuild, new custom home build, renovation or extension. Everyone wants to make sure they are making the right decision, correct? Well, one of the key things we do is undertake a project feasibility study. Usually we charge $495 for this, however, we’ve committed to doing a couple for free each month. If you’d like to take us up on the offer, please fill in your details below and we will be in touch. Because you’ve taken these initial steps, we’d really like to keep you in the loop with some things you need to consider, therefore we’ll add you to our mailing list. We promise not to spam your inbox, the purpose of this is just keep you up-to-date with the latest news from SmartReno. By all means, you can always unsubscribe if you would prefer to not receive our updates. Shortly you will receive our e-brochure with further information you might find helpful. In the meantime, if this has raised some questions for you, can I suggest we have a quick chat over the phone. Feel free to book in a time on our online calendar which suits your schedule. Click here to make a time.